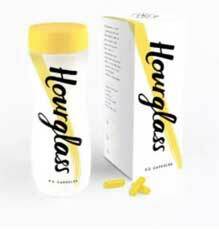 Hourglass is an “intelligent diet pill for women” manufactured in America for Propura Ltd. The company is based in London and, although they also market a testosterone booster called Prime Male, Hourglass appears to be their first venture into the world of weight loss. It contains an astonishingly good formulation of ingredients, and is backed by 90-day money back guarantee, so they’re off to a good start. All that sounds pretty good, but talk is cheap. It’s results that count and diet pills are only as good as the ingredients they provide, so the next thing we need to do is take a look at what’s under the hood. Glucomannan (1500mg): A versatile water-soluble fibre that used for suppressing hunger and lowering cholesterol. Both these abilities have been scientifically proven. Green Tea Extract (500mg): A generous dose of a well-researched fat burning ingredient that has been shown to be capable of boosting the metabolism for up to 24 hours. Vitamin B6 (4mg), Vitamin B12 (10mcg): Two popular energy drink ingredients that help the body extract energy from food. Their presence here should delay/prevent the onset of diet-related fatigue. Vitamin D3 (1000IU): A versatile vitamin the body uses in many ways. Vitamin D deficiency has become very common and has been linked to depression, increased risk of osteoporosis, weight gain, and many other health problems. Guarana (100mg): The steady release of caffeine delivered by guarana provides a long-term energy lift. Caffeine also boosts the metabolism and encourages fat burning, so guarana is a good inclusion to have. Chromium Picolinate (125mcg): An ingredient that improves blood glucose control. Its added to diet pills because it prevents the sugar spikes and subsequent insulin-induced crashes that trigger urges for high-calorie food. Bioperine (5mg): A patented black pepper extract that contains piperine, which has been shown to increase the potency of many supplements and drugs. Nobody appears to have a bad word to say about Hourglass. All the reviews we found were surprisingly good. No side effects have been reported but women who are pregnant or nursing a child should always play it safe, and check with a doctor, prior to using supplements of any kind. 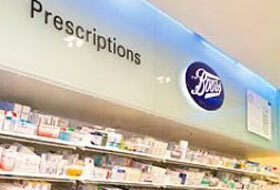 The same advice is offered to potential users who have existing health problems or are using medication(s). How to Use – One capsule is required with breakfast, another with lunch, and a final one with dinner. Customers are given a 90-day money back guarantee. Hourglass turned out to be a pretty simple diet pill to review. The ingredients are good, customer reviews also suggest it’s a fat burner that works, it’s cheap to buy and has a long money back guarantee. It ticks all the right boxes and we are happy to recommend Hourglass to any woman who needs to lose weight. In fact, we recommend it for men too because we feel it should offer a similar level of support. Each bottle of Hourglass contains a 90 capsules and should last for 30 days. That’s pretty much the norm for a bottle of diet pills these days, but there is nothing normal about the price. Hourglass is a lot cheaper than most other brands of diet pill. However, customers hoping to shave a few pennies off the price by shopping around will be disappointed because it’s only possible to buy Hourglass from the official product website. The only way to obtain even better value by taking advantage of promotional offers. These are likely to change from time to time but, at the time of this review, it was possible to buy four bottles of Hourglass for the price of three. Slimbliss Slenderite is a slimming pill sold as a fat burner for women. It’s being marketed by a UK-based company called Protein Bliss and is distributed under the SlimBliss brand name. The company is a relative newcomer to the diet pill world and we were unable to discover what experience Protein Bliss has (if any) in the diet pill industry. The domain that houses the company website was registered in 2016 and the site, though not the best we’ve seen, is reasonably good. However, the Protein Bliss/Slim Bliss social network accounts show a distinct lack of life. Their Twitter and Instagram pages (online since 2016) have no posts, their Pinterest page has been removed and, at the time of this review, the SlimBliss Facebook page only had 29 likes. It’s pretty obvious nobody is pushing the SlimBliss brand very hard and we have to wonder if Slenderite may be a private label product that’s being distributed by someone whose interest in their diet pill project has waned. Green Tea Extract (300mg): A proven metabolism booster and fat burner, green tea is also rich in antioxidants that can improve the overall health. L-Tyrosine (300mg): Research suggests L-Tyrosine may be have stress-fighting capabilities. Chromium (7.5µg): Research shows chromium helps regulate insulin. It’s added to diet pill formulations because its presence can help prevent the post-eating insulin spikes that can cause the blood sugar level to drop low enough to initiate a desire for high calorie food. Green Coffee Bean Extract (300mg): Although it’s primarily used as a fat burner, some research suggests the chlorogenic acid provided by green coffee bean extract may work well alongside chromium (also included in the formulation) and help regulate blood sugar and insulin levels. Choline Bitartrate (247.5mg): There is evidence to suggest supplements that contain choline bitartrate may boost cognitive function. Caffeine Anhydrous (240mg): A popular stimulant that provides extra energy and improves mental focus. Research shows caffeine also boosts the metabolism and improves fat oxidation. L-Theanine (210mg): An amino acid that can be obtained from green tea. It has a calming effect on the mind and lessens the negative aspects of caffeine. Cinnamon Extract 5:1 (210mg): One scientific study suggests cinnamon may have the ability to improve glycemic status and support weight loss when administered to diabetics, but it may not work in the same way for non-diabetics and further study is much to be desired. Cinnamon is included here as a 5:1 extract that is concentrated to five time the strength of standard cinnamon extracts. Black Pepper Extract (5mg): Black pepper aids ingredient absorption rates. This ability is made possible by an alkaloid called piperine (active component in black pepper). Iodine (225µg): An ingredient that’s sometimes used in diet pills because it supports good thyroid health. When people don’t get enough iodine the thyroid gland can become sluggish (hypothyroidism). This can cause fatigue, mental irregularities, and weight gain. Vitamin B6 (7.5mg), Vitamin B12 (7.5µg): Two B Vitamins that are added to energy drinks because they help the body to extract energy from food. How to Use – The dose is one capsule. Three doses are needed per day. The capsules are intended to be taken with meals and it’s important never to exceed the recommended dose. SlimBliss Slenderite is not intended for women who are pregnant or nursing a child. Anyone who has existing health issues should always obtain a doctor’s approval before using food supplements of any kind. The same advice is offered to people who are considering using SlimBliss Slenderite alongside medication or other supplements. A few customers report experiencing bloating or stomach cramps, so we suggest all potential users discuss the matter with their doctor and only buy SlimBliss Slenderite if their doctor thinks it will be safe for them to use. The best place to buy SlimBliss Slenderite is from the manufacturer’s website. It’s also available via Amazon and eBay, but the eBay seller has marked the price up by around 50%, so buying by eBay is not a good way to go and there is no proof the pills being sold there are the genuine item. The SlimBliss Slenderite marketing material makes no mention of a money back guarantee, but the terms and conditions page on the manufacturer’s website says customers have seven days (from the date of receipt) to return unwanted products. However, it seems likely this is only applicable to bottles that have not been opened. Although some of the ingredients are good, SlimBliss Slenderite would benefit from a few additional fat burning ingredients and the formulation could be greatly improved if the cinnamon content was replaced with a respected appetite suppressant like nopal. As it stands, SlimBliss Slenderite may help prevent post-meal sugar urges, but it’s unlikely to do anything to help women keep their appetites under control. Researchers have discovered the hunger urges women feel are stronger than the ones men have to deal with, so appetite suppression is an important feature in any diet pill intended for women. Another problem is, the origin of the product is not known. The website is okay and the pink and white bottle looks good. As for the rest, we can’t say we are impressed. 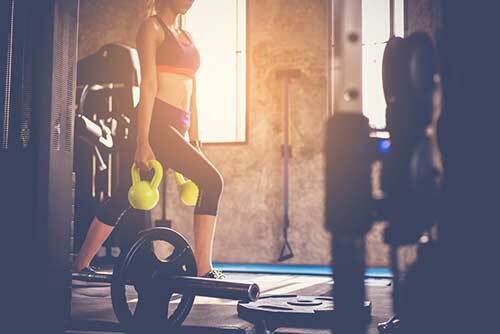 As far as the women fat burner market is concerned the product that everyone women wants is LeanBean – and for many reasons. LeanBean has an excellent formula, excellent customer service department and and excellent track record of success. It also has a long 90 day money back guarantee. 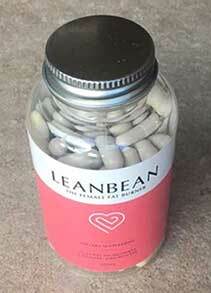 Lean 11 is a diet pill for women. It’s one of numerous health and fitness products produced in the UK by Sports Supplements Ltd and distributed under the Bulk Powders brand name. Other Bulk Powder supplements include Whey protein drinks, amino acids, vitamin pills, and joint care capsules. There’s a Bulk Powder option designed to meet most people’s needs. Bulk Powders take a simplistic approach when it comes to their product packaging and the marketing department refrains from making to many overly zealous claims. 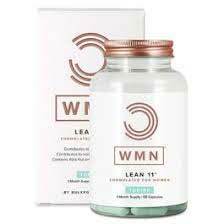 In the case of Lean 11, customers are told it’s designed for active women in search of an extra energy boost and may contribute to slimming. Claims: To burn fat, suppress appetite, designed for active women in search of an extra energy boost and may contribute to slimming. Cons : We feel there are other female oriented diet products that are better. The Lean 11 diet pill formulation contains a few ingredients that have obviously been added to support weight loss, such as green tea and chromium, but the majority of the inclusions are energy boosters. This is in keeping with the product’s design intent. However, the formulation is far too reliant on stimulants and, although stimulants are also capable of boosting the metabolism and contributing to weight loss, when overused they furnish products with an increased likelihood of causing side effects. Citrus Aurantium (450mg): A fruit extract that provides synephrine (stimulant). Citrus aurantium increases mental focus and fights fatigue. It’s good for providing extra energy, increases calorie expenditure, and is a proven fat burner too, but even two 50mg doses per day would be considered unusually high. The amount provided here is highly questionable and may cause more harm than good because high doses of synephrine can raise blood pressure and cause a number of other undesirable side effects. Green Tea Extract (400mg): The weight loss enhancing and health boosting capabilities of green tea have been well researched. 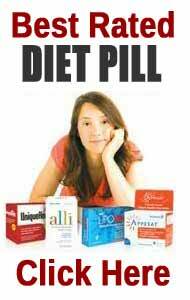 It’s one of the safest and most respected diet pill ingredients in the world. Numerous studies show that it works, one of which suggests supplementation with green tea can reduce body fat, lower cholesterol, and reduce the risk of cardiovascular disease. Green Coffee Bean Extract (350mg): The chlorogenic acid provided by green coffee bean extract is highly respected for its fat burning capabilities. Apple Cider Vinegar (250mg): Appetite suppression and carb blocking are but two of many benefits apple cider vinegar is alleged to provide, but further research is needed and it is not generally considered a “power ingredient”. Choline (82.5mg): Clinical trials shows a link between increased choline intake and improved cognitive function. It’s generally more popular as a smart drug ingredient, but choline is sometimes added to sports supplements to help them provide improved mental focus. Caffeine (72mg): More caffeine and its inclusion is not a good idea because the formulation already has some, along with and a shocking amount of citrus aurantium. Vitamin B5 (50mg): A vitamin that helps the body obtain energy from food. Vitamin B12 (200mcg): As an energy provider, Vitamin B12 works much the same as Vitamin B5, but Vitamin B12 is included in energy drinks. Vitamin B5 is not and there’s probably a good reason for that. Chromium (120mcg): A mineral that regulates blood sugar levels and prevents them dropping low enough to trigger carb cravings. Selenium (55mcg): Helps support normal thyroid function. Selenium has value in a formulation such as this because the thyroid produces the hormones that are responsible for governing the metabolism. How to Use – One capsule is needed three times per day. The doses should be spread out throughout the day and timed so that they are taken with food. We were unable to find any customer reviews for this product. It would be unwise to take a product that is as stimulant rich as this without first obtaining a doctor’s advice because the chance of side effects could be quite high. Women who have existing health issues will need to be especially cautious, as will anyone who is using medication. Women who are pregnant or nursing a child should not use it at all. It’s possible to buy Lean 11 online from the Bulk Powders website. 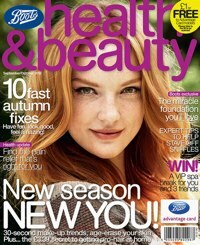 The product is also available from Superdrug and Boots. Lean 11 is not backed by a money back guarantee. Lean 11 is aimed at active women who need an energy boost. The use of Vitamins B5 and B12 should help provide this, but these two safe ingredients could be seen as being redundant in a formulation that contains such a massive dose of citrus aurantium, not to forget two ingredients that have been added to provide caffeine. Green tea and green coffee bean extract contain small amounts of caffeine as well. 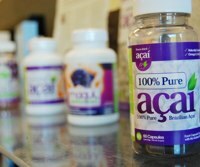 The manufacturer also states the formulation will regulate blood sugar levels and assist fat metabolism. It contains ingredients that can do this, so all of the marketing claims pan out. However, there are other products that can provide all the same benefits and more, and also have a money back guarantee. Lean 11 may offer some value but, as a female weight loss aid, it’s far from being the best.